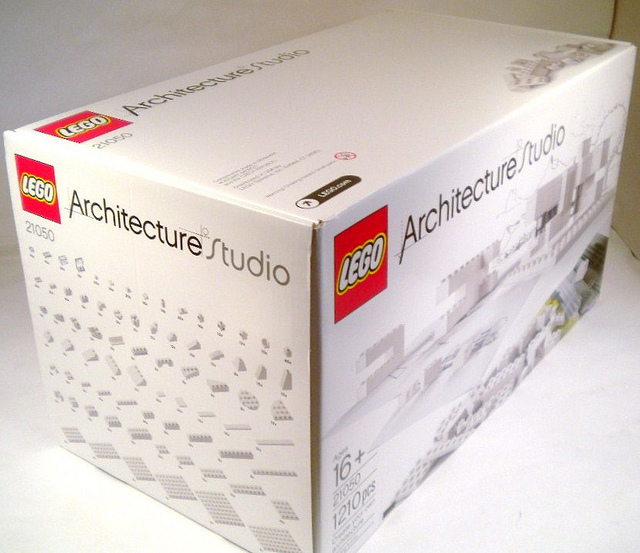 The LEGO Architecture Studio (21050) is a very mysterious set. Currently only available in the United States, this set can be hard to find. Because of this, the set is wrapped up in mystery. Jim Butcher got his hands on this massive set and broke it open to document and review what he found. The Architecture Studio contains 1,210 pieces and comes in a very unconventional box. 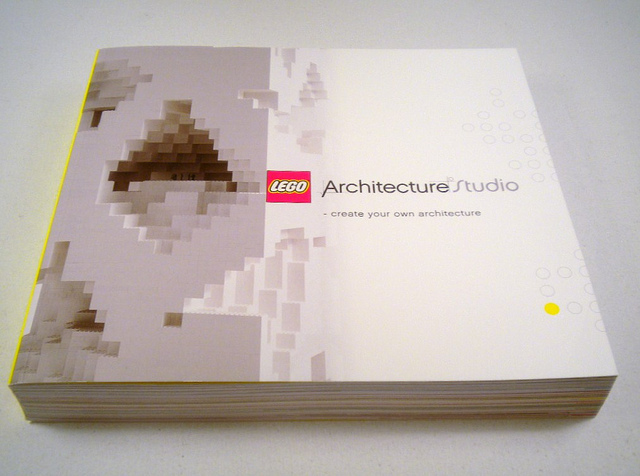 Most official Lego sets are released in a flat(ish) rectangle shaped box, not so for the Architecture Studio. This is a huge package. Taking up the space of 3 or 4 normal Lego sets. Inside is a very unique set, that Lego has never produced before. Besides the 1,210 Lego pieces the set comes with two clear sorting trays. Fun fact: these sorting trays are official Lego pieces. They work well, and help to manage the massive amount of like sized/shaped pieces. Speaking of which, almost every piece is white. With the exception of a handful of transparent pieces. The whole point of the Lego Architecture Studio is to use the included pieces to begin building technically minded architecture models. 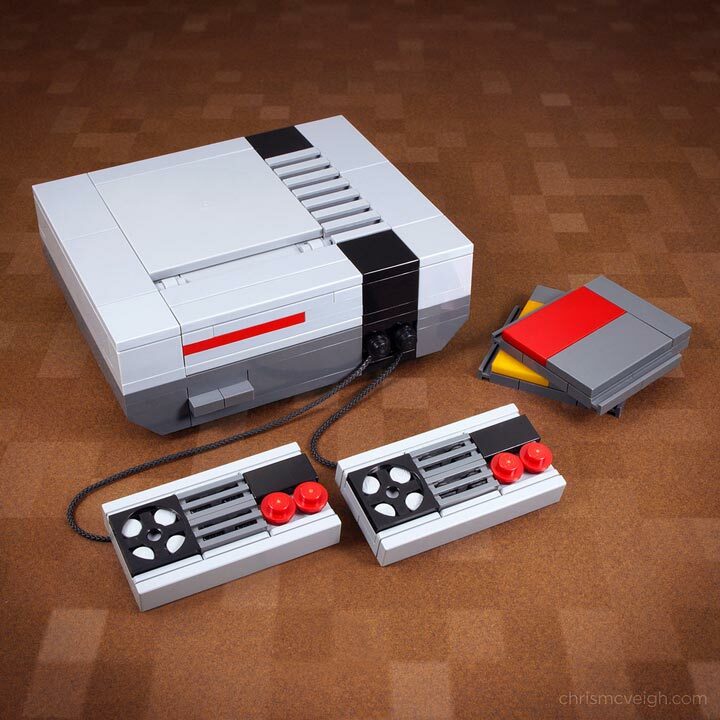 The monochrome color scheme helps break the Lego models down to their core concept, while reinforcing the minimalistic goal of the set. 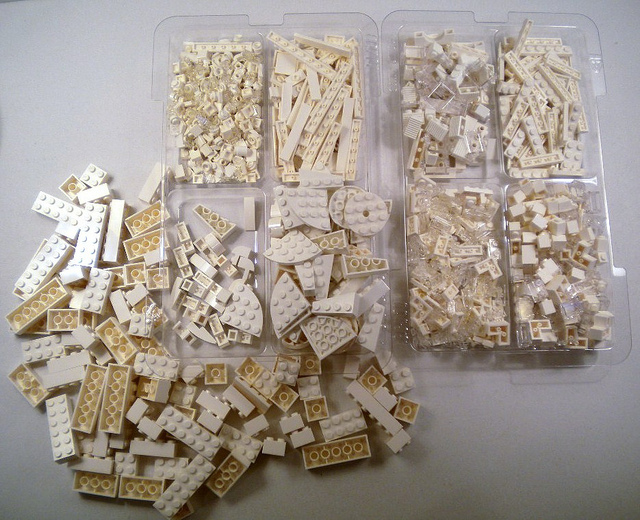 The large Lego piece count and sorting trays are not the main focus of this set. The instruction manual or book is the star. A huge 272 page perfect bound book. 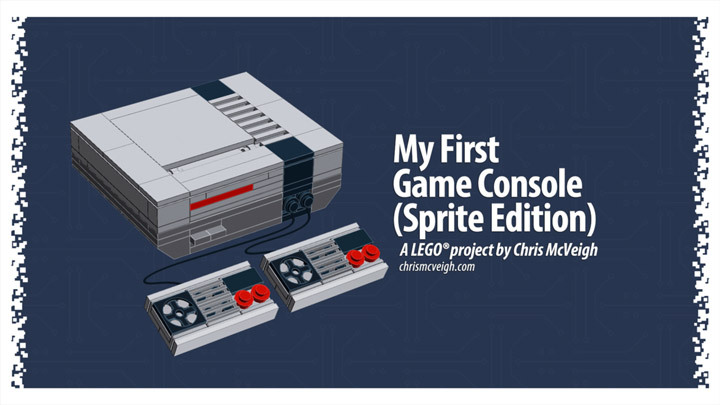 Featuring tips, building techniques, styles, history, and general information about Architecture and Lego. The book does not contain standard instructions. No step by step builds of famous architectural models. Instead the book features very general instructions, often showing the building of a model across only 3-4 steps. The Lego Architecture Studio (21050) is an educational and inspirational set, sharing more in common with Lego Mindstorms then Lego Star Wars.